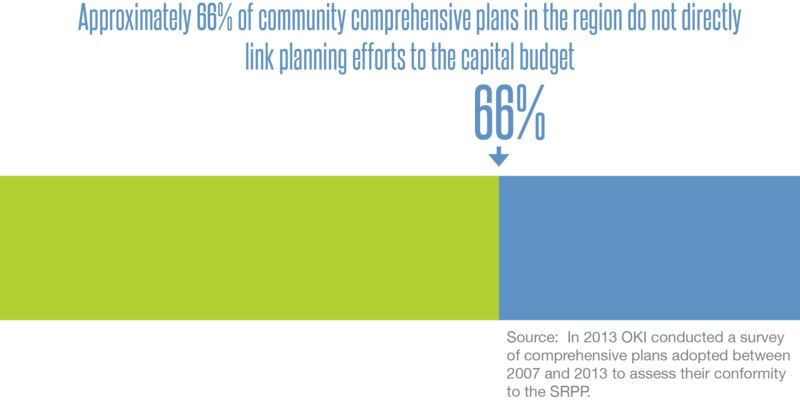 At the local level, there is little coordination among transportation planning, land use planning, capital budgeting, and economic development. 1.A. Each local government should have an up-to-date comprehensive plan that links transportation, land use, economic development, public facilities, public health, housing, natural systems, recreation, intergovernmental coordination and capital improvements. 1.A.1. OKI will maintain the Elements of an Effective Local Comprehensive Plan, a model to link transportation, land use, economic development, public facilities, public health, housing, natural systems, recreation, intergovernmental coordination and capital improvements for use by local governments in the region. Local government comprehensive plans should be consistent, as appropriate, with the OKI Elements of an Effective Local Comprehensive Plan, and OKI will provide information and technical assistance to local governments for this purpose. 1.A.2. 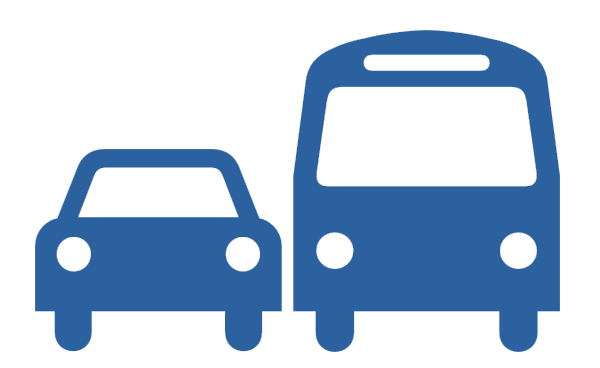 The long-range transportation plan and the transportation improvement program will continue to reference and be consistent with the strategic regional policy plan, and the transportation elements of local comprehensive plans will be consistent with the long-range transportation plan and the transportation improvement program. 1.A.3. The transportation element of each local comprehensive plan should emphasize the high priority of operating, maintaining and improving existing transportation systems, as appropriate. 1.A.4. Local comprehensive plans should be implemented through local regulations and incentives, such as zoning and subdivision regulations, that are consistent with such comprehensive plans.